We certainly don’t consider ourselves blogging experts, but we have dabbled enough to share our experience. We hear from clients who wonder if blogging is something they should be doing. These questions often arise after hearing a competitor is blogging, or attending a presentation where they were told they should be blogging. There are tons of blogs about the best blogging practices, but these often come from people who make a living from blogging. They go into great detail about appropriate word count, snazzy headlines, building subscribers, hyperlinking, frequency of posting, working with other bloggers to build a following, how to get advertisers, appropriate photography, and much more. This is all important, and by all means if you are interested, read those blogs. Today, we simply want to share our real life experience. The following is from our very first blog post two years ago. Why blog? To which we say: why not? We are constantly advising clients in meetings, presentations or just general correspondence, so why not compile that information and become a resource. We can keep information to ourselves and help no one, or we can share and hopefully help someone. We hope to help fellow graphic designers, aspiring designers, those who work with designers or people who’d just like to learn more. Time flies. Suddenly you realize that you haven’t blogged in three months, even though you swear you JUST posted. Tip: It is easy to push projects for your business to the back burner. 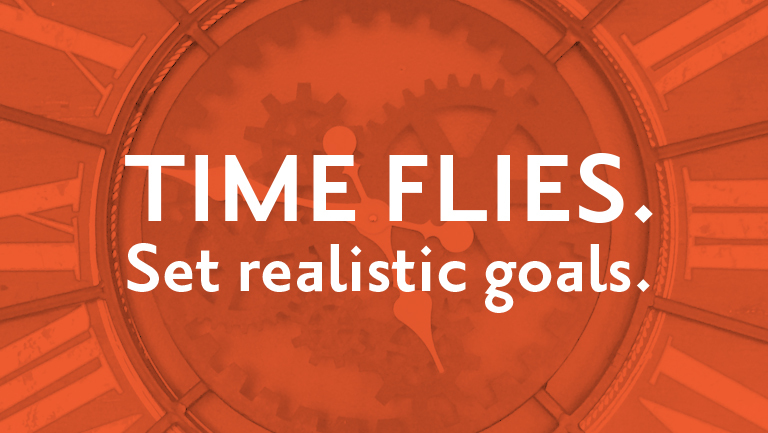 Set realistic goals. We know we won’t post two blogs a week, but one every month is realistic for us. Content generation takes time. The first few blogs are easy. You are full of ideas and the words just run out of you. You wonder why in the world you didn’t start blogging sooner. You are crushing it! Then before you realize it you’ve blown past your posting deadline and are scrambling to get a post done amidst a sea of other deadlines. Tip: Before you start blogging come up with a list of 20 or so topics. Chances are you will throw out at least half of them once you start writing, but you never know when one idea can spur another. Keep a topic list on your desk. Not only will it remind you to write, but it will be readily available when you have a new idea. You wonder if anyone is even reading your blog. After coming up with a topic, writing, revising, revising again, and posting, you question whether anyone other than that family member whose email you subscribed actually read it. You can look at analytics to see page views, but who knows if the reader enjoyed the post. Was the blog too short? Too long? Entertaining? Were there enough pictures? Tip: Choose topics that either add value or share experiences. Sometimes it is just nice to hear someone else’s perspective. Be authentic. You question whether it is worth the time. Time is something businesses never seem to have enough of, so recognizing value in how your time is spent is important. Is the blog generating new business? Is it providing helpful information to current clients? Is it adding credibility to your business? Is writing a therapeutic exercise for you? Tip: If you answered “yes” to any of the questions above then it is worth it. 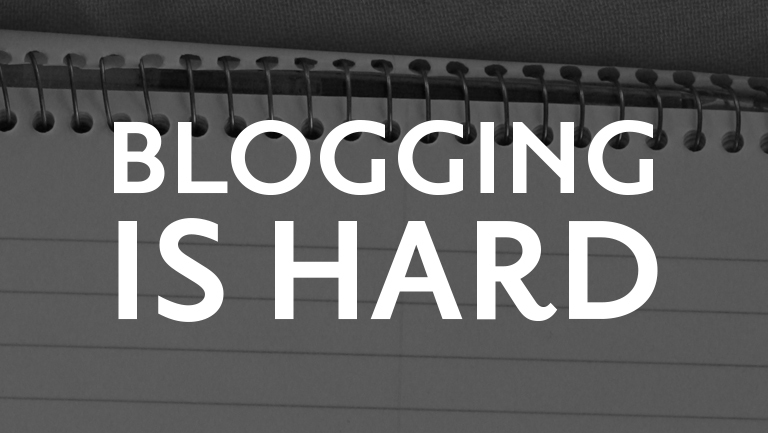 What it really comes down to is revisiting why you started blogging in the first place. If you are still fulfilling your purpose in starting a blog then power on! The blogosphere isn’t going anywhere. Curious what we’re up to? Follow us on Facebook.